SECRET day at the beach on Wednesday 1st May to introduce our pirate theme. We will need lots of helpers that day so if you can spare some time we would really appreciate it and I promise it is lots of fun! Please find the information letter on parentpay. Next term our learning theme will be about pirates and for our holiday challenge we would like each child to think about their own ‘treasures’ and what is important to them. Please ask your child to draw or paint a picture of the things that are important treasures to them ~ this might be a teddy, a book, a person or a toy. We would then like them to write a couple of sentences about why these things are special to them. If you are feeling very creative you could design a treasure box to put them in or make a book of treasures! Please bring them back into school at the start of term 5 and we will be using them in their learning. It has been a super term of learning for the Busy Bees. Term 4 – Week 5 – The Chicks will hopefully be hatching on Tuesday next week. We have had a wonderful week of learning in the sunshine. We have been learning about the story of Easter this week, the children have enjoyed creating their own Easter gardens and discovering more about why Easter is so important to Christians. Our butterflies have begun to emerge. We observed them and released them in our garden. SECRET day at the beach on Wednesday 1st May to introduce our pirate theme. We will need lots of helpers that day so if you can spare some time we would really appreciate it and I promise it is lots of fun! Please let me know at the door if you can help and remember it is a secret! More details to follow! It has been a great term of learning and we had a fantastic banquet on Tuesday. The children were amazing and demonstrated all they had learned beautifully. Thank you to everyone for your support to make it such a wonderful event. We have eggs in the incubator and in 11 days we are hoping the children will be able to experience chicks hatching in the classroom. Today, we looked at what was inside an unfertilized egg and also what stage the chicks were at in the incubator. The children also held an egg which had the shell removed. They felt the inner membrane and we discussed how this and the shell protect the developing chick. On Monday, we will be learning the story of ‘The Little Red Hen’ and developing our oracy and storytelling skills by learning the story off-by-heart. Banquet practise is going really well. We look forward to seeing you all on Tuesday 19th March at West Wick. Doors will open at 1.30 pm for a 1.45 pm start. Please ensure you have returned your child’s slip telling us if they will be taken home from the banquet or if they need to return to Hewish after the banquet. Many thanks. NOTICES: Our banquet will be held in the hall at West Wick on Tuesday 19th March 2019 – it is not to be missed! Please return your slip as soon as possible. Many thanks. There are birds in the castle! We continued to learn about life in a castle by finding out about how birds of prey were used. We had a close encounter with some beautiful birds and the children had the opportunity to hold a beautiful African Owl. Why don’t you ask the children to tell you something about the birds of prey and record it on Tapestry. NOTICES: Our banquet will be held in the hall at West Wick on Tuesday 19th March 2019 – it is not to be missed! Thank you to everyone that attended the Learning Review Meetings it was lovely to celebrate your child’s learning with you. There is archery in the castle! This week the children have been learning about the important role of the skilful archers in a castle. They have created their own bows and arrows using willow from our garden and learnt how to fire them at a target. In phonics this week, we have learnt the sounds /ear / as in hear, /air/ as in hair, /ow/ as in cow and /ar/ as in car. We have also learnt the red word /so/. In maths, we have been playing simple subtraction games and developing our mathematical vocabulary using terms such as subtract, take away, less than, minus and equivalent. NOTICES: Learning Review Meetings will be held on Tuesday 12th February and Wednesday 13th February 2019. Please book a slot we are looking forward to seeing you! Another great week of learning – well done Busy Bees! Have a great weekend. NOTICES: Learning Review Meetings will be held on Tuesday 12th February and Wednesday 13th February 2019. This week has been lots of fun as we have been scientists, authors, mathematicians and athletes! The week started with us innovating the story of Jack and the Beanstalk making up our own stories using our own characters. The children all had a story to tell and it was lovely to see them acting them out and sharing them with each other. In maths. we have been learning about 3D shapes and the children have loved making their own models using these shapes and playing games with them. If you would like to support them at home why not go on a shape hunt at home and record some of the shapes they see ~ our store cupboards are always a good place to start with this activity! As many of you will have seen, the date for our banquet is Tuesday 19th March @ 1.30pm . We look forward to seeing you ~ fancy dress is optional! The rehearsal day will be Monday 18th March. A letter with details of the day will be in your child’s book bag next week. We hope you have enjoyed the snow today, any snow creations would be welcome on tapestry! Have a lovely weekend. The Busy Bees are continuing to learn about life in a castle in order to be able to put on a banquet for Queen Elsa and Anna. This week, the children have learnt about the ancient art of jousting. They have had great fun watching real jousting and then recreating this in their play. We have had some fantastic drama performances when falling off horses! In RE, the children learned the story of ‘Matthew the Tax Collector’. They learned more about the life of Jesus as a teacher and the reasons he gave for selecting his disciples. The children had some great thoughts about why it is important to be able to change your mind and your thinking. They related this to foods they thought they didn’t like, but now enjoy eating because they changed their mind. They then went on to think about the importance of giving people a chance to change their behaviour and their values just as Matthew had. In phonics, we learned the sounds /th/ as in this and that, /ng/ as n sing, /ai/ as in rain, /igh/ as in high and /ee/ as in see. We also learned the red word ‘we’. Please continue to read regularly with your child at home as it really does make a difference. It has been another super week of learning with the Busy Bees. In phonics, the children have learnt the sounds /ch/ as in chip, /sh/ as in ship, /th/ as in this and that and /qu/as in queen. They have also learnt the red words ‘he’, ‘she’ and ‘me’. Please continue to hear your child read at home as often as possible as this really does support both their reading and writing progress. In maths, the children have been learning to estimate. They had great fun estimating in a range of situations, such as, how tall they were in cubes, which objects were heaviest or lightest, how many objects in a jar and how many jumps they could do in 30 seconds. This week, the children have been thinking about keeping themselves healthy. They sorted a range of foods thinking about the ones they may eat often and the ones they may eat less often and why. It was lovely to hear the choices the children were making and the reasons they were giving for their choices. We also discussed the need to do regular exercise in order to stay healthy with help from songs by Mr Tumble! In PE, the children enjoyed their first gym session. They were very excited and motivated to use the apparatus and had great ideas about how they could stay safe when using the equipment. What a super week we have had Busy Bees! If you lived in a castle who would you be? Happy New Year to all our lovely children and their families. What a fantastic and exciting start to 2019 with our wonderful ‘wow’ day on Tuesday when the children met a Queen! Queen Elsa from the popular film Frozen came to school to ask for the children’s help. She challenged them to put on a banquet for Anna as a way of showing she is sorry for the way she treated her. The children were so excited and readily accepted the challenge. Queen Elsa has also invited parents to the banquet and we will provide the date as soon as possible so you can make arrangements. Thank you to everyone for the enormous effort you put into their costumes and ensuring they had a really memorable day. As well as lots of castle play the children have been deepening their understanding of number by ordering numbers that are out of sequence. They have also been making castles out of flat shapes and solid blocks and it has been amazing to hear the mathematical language they use in their model making. WOW DAY! Tuesday 8th January 2019 – The children need to come to school dressed as who they would like to be if they lived in a castle. Please talk to your child about our next term’s learning theme The children need to choose who they would be if they lived in a castle and be able to say why they have made this choice. On Wednesday, the children had lots of fun learning with the Year 2 and Year 1 crews. They made melted snowman biscuits, party hats, crackers and planted bulbs. Following this, they enjoyed a super Christmas lunch complete with crackers! It has been a wonderful term of learning. The children are highly motivated learners and we have had lots of fun learning with them. Well done Busy Bees! We would like to say a very big thank you for all the beautiful cards and gifts. It is extremely kind of you all. We would like to wish you a lovely Christmas with your wonderful children and a peaceful New Year. NOTICES: There is an important letter in your child’s book bag giving details about our exciting new learning theme next term. Please ask a member of staff if you have any questions about next term. Many thanks. The children were just fabulous and performed their Nativity play with great enthusiasm! Thank you to everyone for coming along to make it such a special day. In RE this week, we have continued to sequence the events of the Christmas story. To support the children’s learning they acted out the story in our story square. The children are now retelling the story beautifully. Thank you to everyone for supporting their learning at home through using the story map and pictures. In maths, the children have been learning to find the number that is one more or one less than a given number. Please support your child with this at home through simple games using a dice, pennies or toys. In phonics, we have been revising the sounds and red words that we have already learnt. We have also learnt the red word ‘into’. Please read and write these words at home with your child and continue to hear them read as often as possible. At St. Anne’s there is an expectation that you will hear your child at least 3 times a week. Thank you very much for your support with this. It really does ensure their rapid progress in reading and writing. Elvin has been keeping a close eye on the Busy Bees and also getting into some scrapes. When trying to estimate how many counters in the bowl he accidentally fell in and the children had to rescue him! Really Elvin!!!! 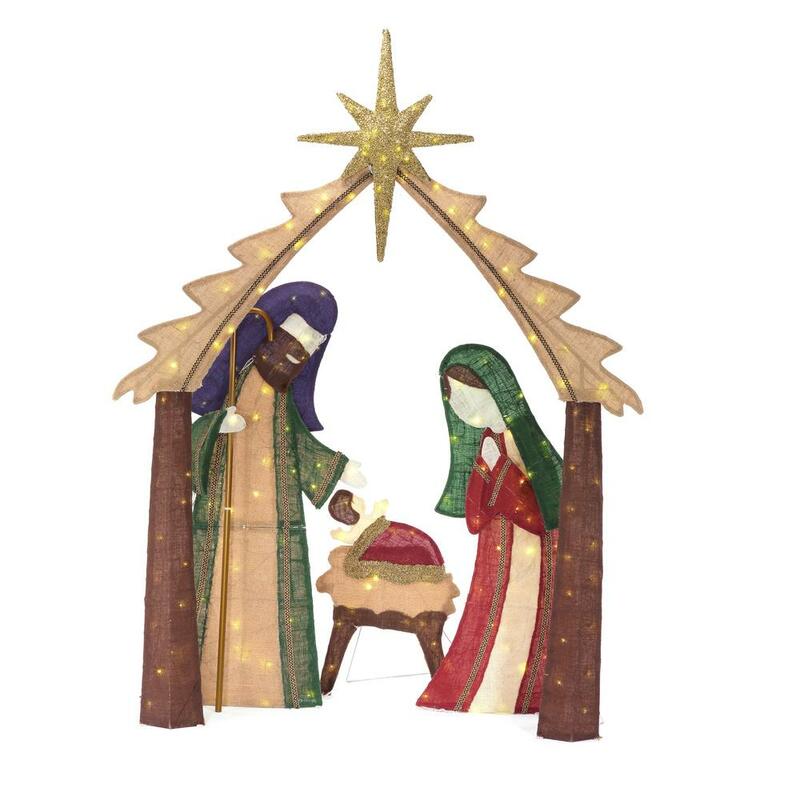 NOTICES: Our Nativity ‘Superstar’ will be on Tuesday 11th December 2018. Performances will be at 1.30 pm and 6.00 pm. Please return your slip to say whether you are collecting your child from the church or from school as usual. Many thanks. We have had a Christmas visitor this week. Elvin the elf has come to Busy Bee classroom and is causing quite a stir! On Tuesday, he was found reading a Christmas story on the sofa. On Wednesday, he was found eating one of the gingerbread people! Today, he was fast asleep in a stocking in the Christmas shop! He is quite a character! This week the children have learnt the sounds ‘b’ as in bat, ‘f’ as in fog, ‘l’ as in leg as well as the double consonants ‘ss’ as in hiss, ‘ff’ as in huff and ‘ll’ as in doll. The sight word this week was ‘no’. Thank you for your continued support with phonics and reading. NOTICES: Our Nativity ‘Superstar’ will be on Tuesday 11th December 2018. Performances will be at 1.30 pm and 6.00 pm. Please can costumes be in school by Tuesday 4th December. It is going to be amazing! This week, the Busy Bees have been enjoying practicing phonics in lots of fun games and activities. They have learnt the new sounds ‘e’ as in egg, ‘r’ as in red, ‘u’ as in up and ‘h’ as in hat and the new sight word is ‘go’. They are beginning to read simple words and sentences and a really big thank you for supporting them at home with their reading ~ it is so very important that they get the opportunity to practice this new skill. In art, the children created a beautiful Autumn tree using clay. They looked at the paintings by the artist John Constable and created their own tree in this style. I think you will agree it looks beautiful! Have a great weekend – might see you at the fair! NOTICES: Our Nativity ‘Superstar’ will be on Tuesday 11th December 2018. Performances will be at 1.30 pm and 6.00 pm. A letter giving details of the day will be in your child’s book bag on Monday. It is going to be amazing! It has been a great week of learning for the Busy Bees! In phonics, the children have learned the sounds /o/ as in orange, /k/ as in kit, /c/ as in cot, /ck/ as in pick and /g/ as in goat. They have also learned the red word ‘the’. The children are working hard to master blending the sounds to read the words. Please continue to hear your child read as often as possible as this really does support their progress. This week the Busy Bees have been extremely busy doing lots of amazing learning! They have learnt four new sounds and a new sight word and they are all so keen to write that we have had to extend our writing table! The sounds they have covered this week are i as in ink, n as in net; m as in mat and d as in dog and the sight word is ‘to’. We have also sent home reading books for you to read with your child at home. Help them to sound out each word and then blend the sounds together to read the word. When they are confident doing this they need to try reading it ‘Fred in their head’ (the children know they need to read it in their head and then say the word. This is to increase their fluency and understanding of what they have read. Finally, please focus on their comprehension of the text. You can do this be using the prompts at the beginning and end of the books. Don’t forget to write in their journal to say that they have done this so we know when to change their book. In Maths, they have been estimating how many and checking by counting. If you would like to support the children at home you could put small collections of objects into a jar and ask the children to estimate how many. They can record their estimate by drawing dots to represent their number or they could write the numeral. They then check how many there are by counting the objects. Also this week, the children have had a lovely story sent to us by Network Rail about keeping safe on the railways which prompted lots of really good discussions about staying safe. The children looked great in their spotty clothes today, the total collected for Children in Need will be in the newsletter. Thank you for supporting this. Welcome back to Term 2! We hope you all had a wonderful two week break. It was really lovely to see the children again and they have settled back really well. Thank you to everyone that came along to our Phonics and Reading Meeting on Tuesday night. It was lovely to see you all and to work in partnership to support your children to learn. There will be a second chance to come along to find out about phonics and reading on Thursday 15 November in the hall at Hewish at 2.40 pm – 3.10 pm. Please attend if you can as this is a really important part of your child’s learning and progress. There will be a free book for your child! We started the week, by thinking about why we celebrate Bonfire Night with the children. We then listened to and discussed the story of Guy Fawkes and the Houses of Parliament and created some lovely firework art and most importantly talked about firework safety. The following day we looked at and compared our celebrations to another festival which often has fireworks, the festival of light ~ Diwali. The children absolutely loved listening to the story of Sita and Rama and enjoyed making masks to retell the story with as well as getting creative with mehndi and rangoli patterns. Phonics – This week the children have learnt the sounds /s/ as in sock, /a/ as in apple, /t/ as in tap, /p/ as in pin and /i/ as in igloo. Also the red word ‘I’. Please support them to practise the sounds and red words they learn each week. Please support your children at home by looking for objects that begin with these sounds and record them and show us what you have found on Tapestry. To support the children with letter formation we use the Read Write Inc ditties and they are picking these up really quickly and using them in their learning. In maths, the children have been looking for the parts in numbers and have taken part in lots of practical games and activities to support this. I wonder if they can tell you about the parts and the whole? On Friday, we found out more about Remembrance Day and the reason we wear poppies. As a whole school we had a 2 minute silence at 11 o’clock. The children particularly enjoyed making clay poppies and reflecting on the importance of friendship. Exciting news! We will be hosting an evening for parents about how we teach phonics and maths in the Early Years on Tuesday 6th November from 4.30-6.00pm in the hall at West Wick. There will be lots of practical ideas about how you can support your child with their learning as well as the opportunity to ask any questions you may have. It was lovely to see so many of you at our Learning Review Meetings and have a chance to celebrate the great learning the children have been doing. Individual school photographs will be on Tuesday 6th November 2018. If you have children at different sites and would like them to have their photograph together please let Mrs Binns know. Well done Busy Bees for completing your first term at school. You have all settled really well into school life and bonded to form a wonderful and highly motivated crew. It was very exciting to have our first class treat today! Mrs Davison, Mrs Simms, Mrs Fell and I look forward to more great learning when you come back to school after the half term break. We have some lost named uniform. Please could you check your child’s uniform to make sure that they have their own jumper or cardigan. Please don’t forget to book an appointment for our Learning Review Meetings. Please see the school newsletter for details. Many thanks. We hope you have been enjoying reading the Tapestry observations about your child’s learning. If you have any problems please talk to either Katie Bebb at the West Wick office or see one of us at the door and we will support you in accessing their diary. This week, we have supported the children to develop their fine motor control. They have been playing in the finger gym, hammering golf tees into pumpkins and having a dough disco to aid their development. At the beginning of the week, we took advantage of the good weather to develop gross motor control by using the trim trail, bikes, sand tray and large chalks. In maths this week, the children found that a wolf had left a footprint in our classroom! We explored how we could use non-standard units to measure the footprint and then compared the length of the footprint to our own. The children used mathematical language to compare and describe their findings. In your child’s book bag, you will find a home learning sheet which will enable you to support them to embed and extend the learning they have been doing in school. In RE this week. we have learnt about the first part of the story of Moses. In PE we have been focusing on throwing and catching. The children are really proud of themselves changing independently, thank you for helping them to do this. Term 1 – Week 5 Thank you God for the harvest! NOTICES: We have some lost named uniform. Please could you check your child’s uniform to make sure that they have their own jumper or cardigan. Please don’t forget to book an appointment for our Learning Review Meetings. Please see the school newsletter for details. Many thanks. This week, the children have had fun innovating the story of ‘The Three Little Pigs’ with their own characters and house designs. The children were very imaginative and had great ideas, for example, ‘The Big Bad Gingerbread Man and the Three Little Mice’ and houses built of flowers, jelly and iron. In maths, the children have continued to build their understanding of numbers and how they can be represented. They have played lots of dice games and are becoming able to ‘subitise’ this means recognising an amount without having to count. For example, when they see the pattern of dots on the dice they can quickly say the number. Today in RE, the children have learnt why Harvest is a special time for Christians and in their groups wrote beautiful Harvest prayers. They have had great fun making bread, singing Harvest songs and making observational drawings of different types of pumpkins and squash. A great week of learning Busy Bees! NOTICES: The children had their photograph taken for the Mercury ‘New Reception Classes’ so do look out for it in next Thursday’s addition! Our Learning Review Meetings will be in the last week of term on Tuesday 16th October and Thursday 18th October. I am looking forward to seeing you and talking about your child and how they are settling into school. Home Learning – The children will be bringing home on Monday a copy of the story map for ‘The Three Little Pigs’ together with the words. Please enjoy joining in with them as they tell you the story using the story map and actions. It has been a great week of learning! NOTICES – Please could all children have a PE kit in school next week – thank you. We have some lost named uniform. Please could you check your child’s uniform to make sure that they have their own jumper or cardigan. Many thanks. Well done Busy Bees for completing your first full week in school. The children have been amazing and settled really well into the routines of a full day at school. This week, we have been thinking about how we keep ourselves safe in school. The children went on safety walks around the school to find and discuss things that help keep them safe. We also collaboratively formed our class and school rules. We thought about how we respect ourselves, others and the environment and what this would look like and sound like. The children are so caring and came up with very mature and empathetic ideas – so proud of you Busy Bees. I know you are going to make our classroom and school a very happy place to learn! In phonics, the children have been learning to orally blend and segment words. We have used ‘toy talk’ to develop this skill. For example, the would ‘cat’ in toy talk would be /c/a/t/. The children move their ‘robot arms’ to represent each sound they hear. In maths, we have been recognising and ordering numbers to 10 and beyond. We have also been matching the correct number to a set of objects eg. 6 to a set of 6 bears. The children have been using their fingers to represent the sounds they hear or the number of frogs, buns, fish etc. Watching Numberblocks on ceebeebies is a great way of supporting the learning the children are doing in school. Finally, we have also begun reading our key text ‘The Three Little Pigs’ and thinking about how the pigs could stay safe from the wolf. We are so impressed and proud of the children and all they have achieved in their first full week at school. NOTICES – Please could your child have a coat in school everyday – Many thanks. The Busy Bees have settled well into school life. They are getting to know each other, the classroom and school routines. They enjoyed staying to eat their lunch and having an opportunity to meet the other children and staff in the school. This week, the children have learnt through their play together and we have begun making observations of their learning. The Tapestry online learning diaries will be going live very soon. You will receive an email which will enable to you set up an account and password for your child. We look forward to seeing the children on Monday for their first full day in school. Have a great weekend! We would like to welcome the new Busy Bees and their families to St. Anne’s. We are looking forward to meeting you all and embarking on our exciting learning journey! It has been a fun packed week welcoming the Busy Bees to St. Anne’s. It was really lovely to meet so many families and children on home visits this week. Thank you for making Mrs Davison and I so welcome. The children have enjoyed meeting their new classmates and finding out about some of the things they will be learning at school. Next week the children will be staying for lunch and going home at 1.00pm.